Call us with your Payment Info or you can use the Buy it Now Feature. This is an OE ( Original Equipment ) This 16" Whip/Mast has the twisted wire that runs up the mast, some of the early models of the VW masts were a none twisted. This is the newer Replacement for ALL VW cars with the Roof mounted FUBA ANTENNA ..... Fits all of the following: "SEE BELOW" If your mast is BROKEN or MISSING or STOLEN, this is the part you need to repair your antenna ..... Just simply unscrew the whip from the base, and install the new one. This is a Very High Quality AFTERMARKET FUBA Style Designed Replacement Antenna Mast / Whip that is for the Roof Mount VW Antennas. 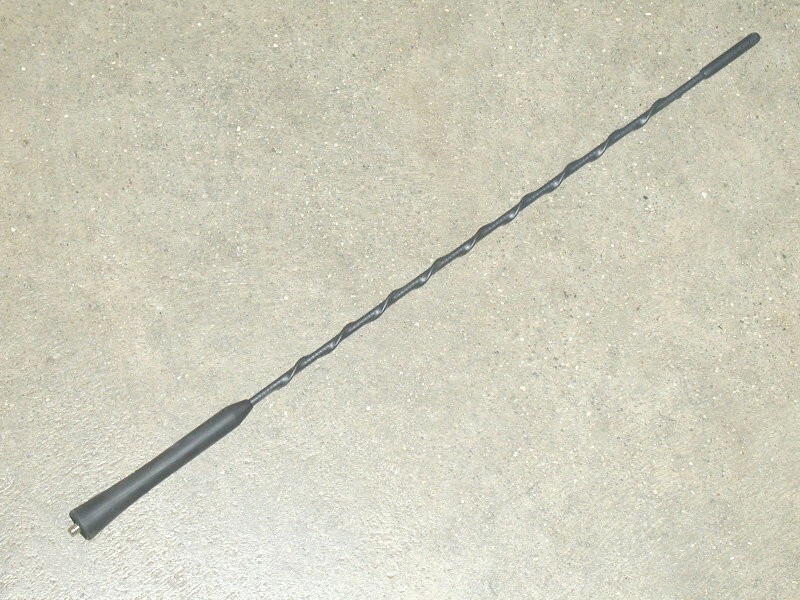 This Whip/Mast has the twisted wire that runs up the mast, some of the early models of the VW masts were a none twisted. This is the newer Replacement for ALL VW cars with the Roof mounted FUBA STYLE ANTENNA ..... These masts are 99% Identical to the OE Genuine Version and is a very good replacement mast. See Photo below of this Mast mounted on your car. Most Fuba Style antennas under 12" is where you begin to loose reception. Fuba Style AM/FM antennas need to be at least 12" + to pick up the proper signal that is in the air waves. So in theory the longer the whip the better your AM/FM signal will be. Just thought you wanted to know! 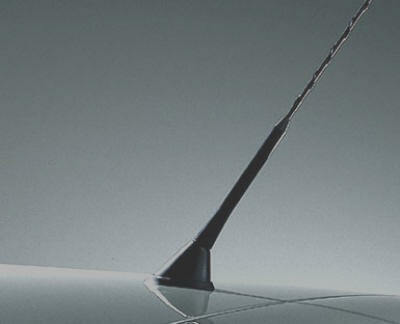 This is an OE Hirschmann ( Original Equipment ) Antenna Mast, Made in GERMANY by the OE Suppler to Mercedes, BMW, VW, ETC. This 6 3/4" Mast Receives Excellent, Awesome, Unbelievable Reception for such a Short Mast. We compared it to the 16" Mast that VW's come with from the factory and we could not really tell of any or no difference in the reception, now that is remarkable for a short mast. We tested it with a FM station that is about 80 miles away from the Test Vehicle, which is a 2000 Jetta TDI. So if you are interested in a short antenna mast that IS Actually going to get great reception, then this is the mast. Even our longer 8" China Copy mast that we sell will not even come close to perform like this mast. By the way this mast is permanently now on our Test Vehicle and we have the option of using any mast that we sell at our disposal, that's simply how well it works. * Mast Has superb reception,... the ONLY 6 3/4 " Mast on the Market that REALLY works. Fits all of the following: "SEE BELOW" If your mast is BROKEN or MISSING or STOLEN, this is the part you need to repair your antenna ..... Just simply unscrew the whip from the base, and install the new one. 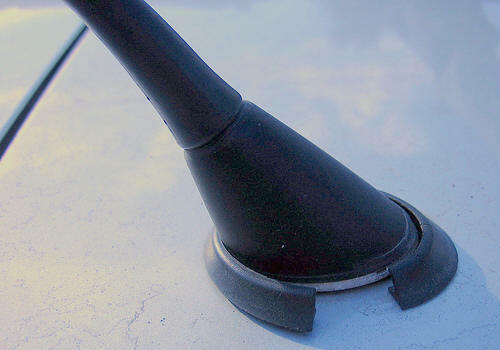 This is a Replacement Antenna Mast for the VW Passat mounted on the Roof. It is the NEW European Look Design that is made to fit perfectly on the VW Factory Base. Simply unscrew the old mast and install this New one. It has Great reception for a 8" antenna, yet you will loose about 15% reception. Most FM antennas under 12" is where you begin to loose reception. FM antennas need to be at least 12" + to pick up the proper signal that is in the air waves. So in theory the longer the whip the better your FM signal will be. Just thought you wanted to know! This is a New Base gasket. This is the gasket that fits under the base mounted on your roof. 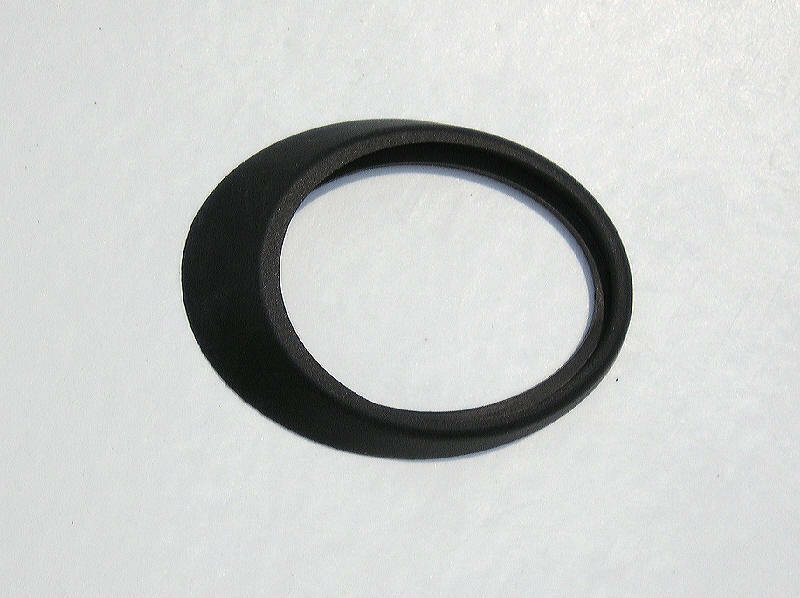 This is the gasket needed if yours is cracked. This is a New Antenna Base. This is an OE ( Original Equipment ) a Genuine VW Part. This base comes with the base, gasket, and nut. If your base is broken, or you have poor reception this is the part need to repair your situation. This is the VW Radio Adaptor that goes from the American Antenna to a German Radio. 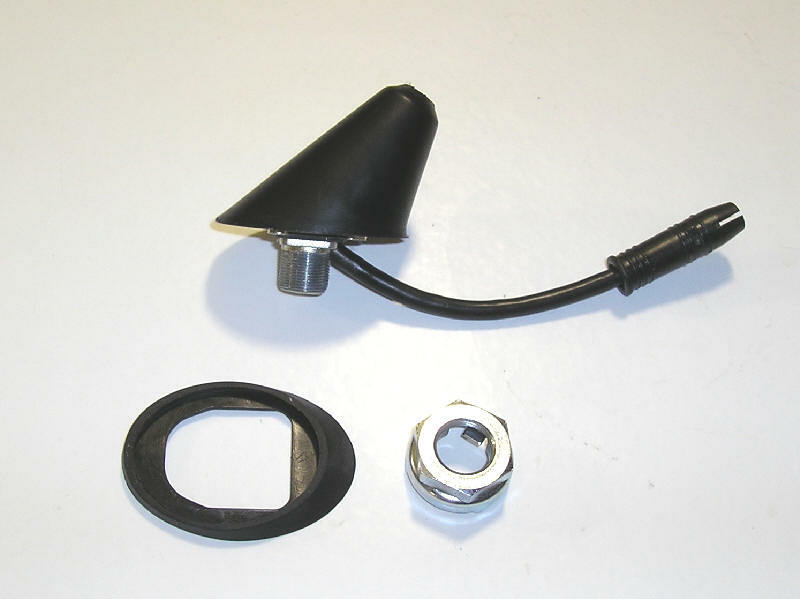 This is the VW Radio Adaptor If you have a German antenna wire and you need to have the American Standard Radio Connection.